I'm comfortable enough with my masculinity, or perhaps my 'Murican-ness, or whatever it is I have to be comfortable with, to admit that I watch (and love) Downton Abbey. In fact, Sonia and I recently visited the Downton Abbey exhibit at the Winterthur estate in Wilmington, DE. Fun stuff if you're in the area. And maybe it's the few drops of English nobility in my blood, but every once in a while I get a thirst for a spot of tea. 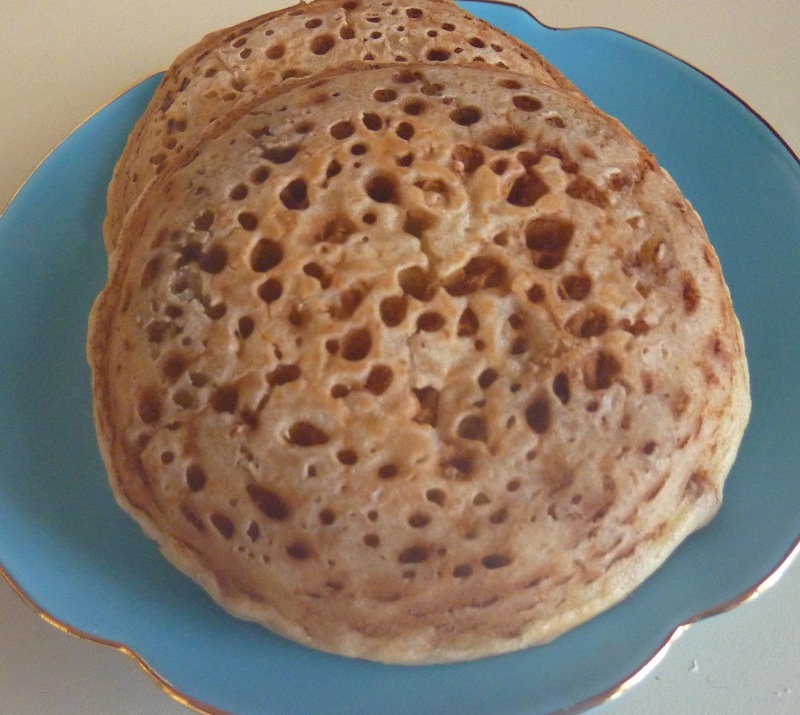 I've often proclaimed in my best British accent—imitating Lord Grantham—that it's "time for tea and crumpets," but until this fateful first full week of 2015, have never actually had crumpets on hand. Generally, I had to substitute toast for crumpets, but now, thanks to Trader Joe, that's changed. I'm pretty sure the traditional English crumpet isn't necessarily cinnamon-flavored like these muffins are, but the cinnamon was very subtle in this particular instance. They still tasted good with grape jelly, but I preferred mine heated in the toaster and eaten plain with butter—or even with a bit of maple syrup, which I suppose is more Canadian than British, but hey, I'm international like that. They were almost like a hybrid of traditional pancakes and English muffins, but doughier than either of those. They were similar to little round sponges, soaking up whatever we put on them very quickly. We ate them for breakfast, served with TJ's Earl Grey Tea, and it was wonderful—enough to keep me speaking with an obnoxious British accent for hours, which by the way, is an excellent way to drive away strangers seeking small talk at bus stops and such, just in case you're tragically introverted and antisocial like I am. At $2.49 for six, this product is simply brill. Sonia gives them 4.5 stars, and I give 'em 4. Really, really darn good. Mmm...maple cream cheese with these would be amazing! 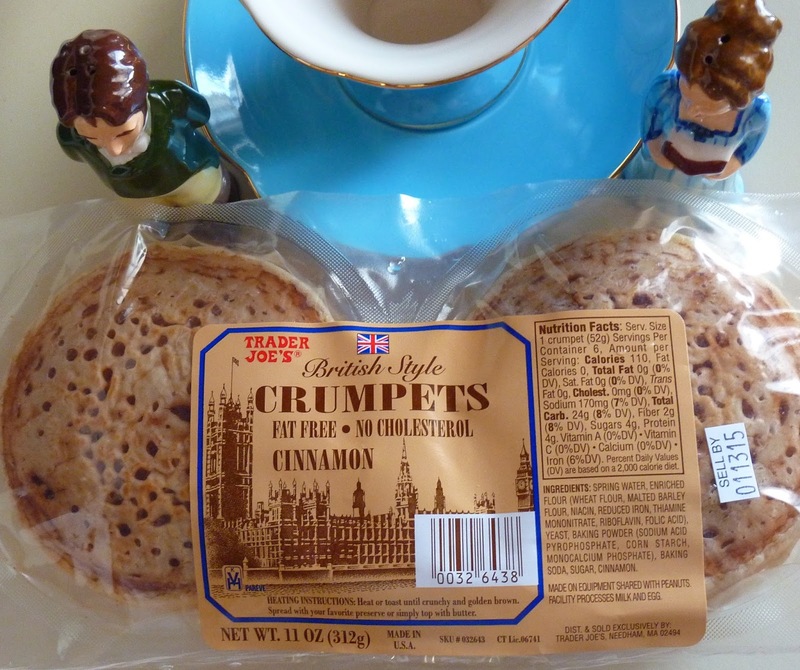 I very much hope they have these crumpets at TJ's out here. I have been wanting crumpets for ages, but can't find any locally. Definitely looking for these on my next trip Friday. these look so good. Are they organic? or do they have gmo?